The Gospel: A Sermon Preached in St. Luke's Church, Rochester, on Wednesday, October 18, 1854, at the Consecration of the Rev. 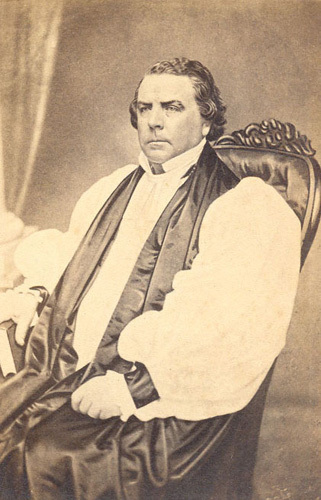 Henry Washington Lee, D.D., Rector of That Parish, as Bishop of the Diocese of Iowa. The Stranger at Home: A Sermon Preached in St. Luke's Church, Rochester, on the First Sunday after Easter, April 15, 1849. The Papal Aggression. A Sermon Delivered in St. Luke's Church, Rochester, N.Y., on the Second Sunday after Easter, May 4, 1851. Cornelia: or the Deaf Mute. Sanctification: The Primary Charge to the Clergy of the Protestant Episcopal Church in the Diocese of Iowa, Delivered in St. John's church, Keokuk; on Wednesday, May 27, 1857. Davenport: Luse, Lane & Co., 1857. The True Elements of Civil Prosperity: A Sermon Delivered in St. Luke's Church, Davenport, Iowa, on Thanksgiving Day, November 27, 1857. Pastoral Visiting: The Second Charge to the Clergy of the Protestant Episcopal Church in the Diocese of Iowa Delivered in Christ Church, Burlington, on Wednedsday, May 30th, 1860. Davenport: Pub. House of Luse, Lane & Co., 1860. Publisher: Davenport, Iowa : Luse, Lane & Co., 1865. The Great Deliverance: A Sermon Preached in the Chapel of Griswold College, Davenport, on the Day of National Thanksgiving, Thursday, December 7, 1865. Davenport: Luce and Griggs, 1865. The Apostolic Commission. The Sermon Preached in Christ Church, Louisville, Thursday, Nov. 15th, 1866, at the Consecration of the Rev. George David Cummins. Chicago: Printed by Hazlitt & Quinton, 1866. Davenport: Pub. House of Luse & Griggs, 1868.